Whether you're doing a cross-country race, doing hill repeats, or are just the type of rider who enjoys riding fast, you'll want an amazing bike underneath you that won't hold you back. The genre killing XC bike is here and it is the Yeti SB100 Turq X01 Eagle. Yeti is keeping it 100 with the SB100. 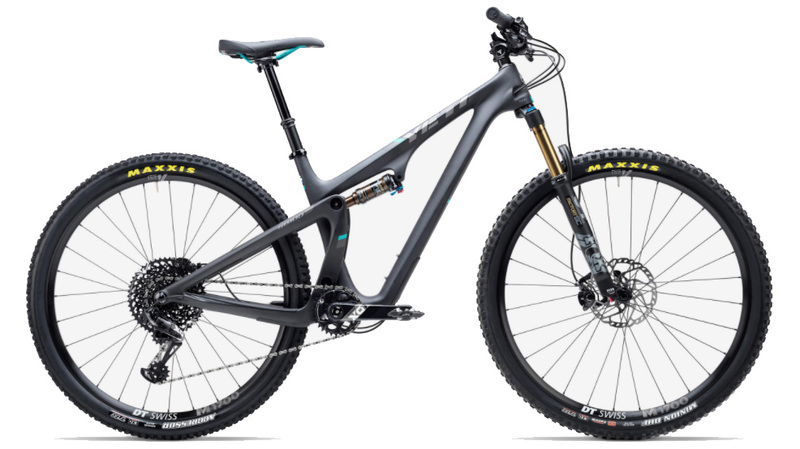 The SB100 is a fast, 100mm of frame travel, carbon fiber mountain bike that will help take you to new heights and get you down from those heights quickly. The frame features a newly redesigned Switch Infinity that is specifically for 100mm of travel. It is lighter and tucks neatly behind the seat tube. The Switch Infinity also allows for an uninterrupted seat tube so you can use longer dropper posts. The frame also has internally molded carbon tubes inside the frame so cable routing can be a breeze. With the Turq series, you're getting a frame that is made from the highest quality carbon fiber available. This provides a frame that is the perfect balance between stiffness and compliance. The result is a bike that rides smoothly and feels solid and aggressive. 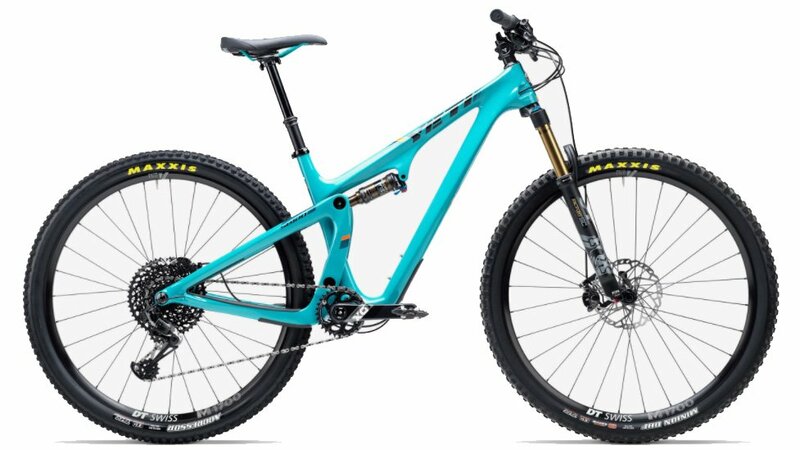 The SB100 Turq X01 Eagle edition features a Fox Factory 34 SC fork with 120mm of travel and a Fox Factory DPS rear shock. The drivetrain features a mixture of GX Eagle and X01 Eagle. The shifter is a GX Eagle 12-speed and the rear derailleur is an X01 Eagle 12-speed. The crankset is an X01 Carbon Eagle crankset with a 30 tooth cog and is paired with a SRAM 1275 Eagle 10-50T cassette that provides unparalleled versatility when it comes to climbing and descending. When you get to the top of the mountain, the Shimano XT brakes will provide the confidence-inspiring stopping power for the ride down. It comes with DT Swiss M1700 wheels with a Maxxis Aggressor 29" x 2.3" tire on the rear and a Maxxis Minion DHF 29" x 2.3" tire on the front. Long gone are the days of choosing a between a bike that is good for climbing or a bike that is good for descending. Now you can have both. Turq Carbon Frame is stiff, durable and responsive.